Cosmetic Bags – Friends-Together, Inc. 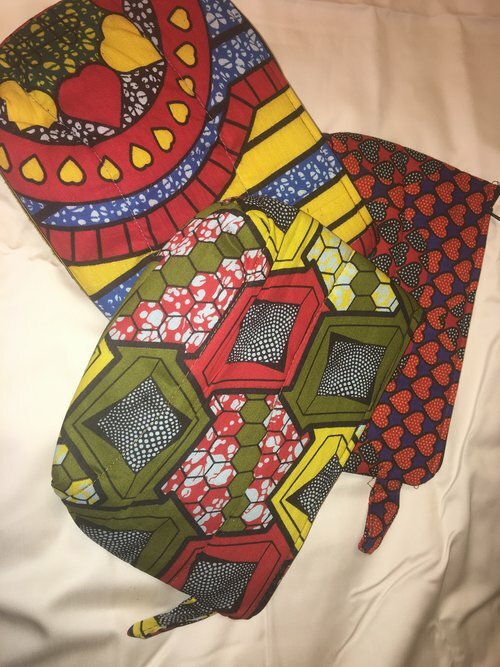 Your $15 donation not only gets you the cosmetic bag but also gives a young woman in Tanzania a year supply of reusable pads and carrying case for her pads. The cosmetic bags come in a variety of bright patterns that vary at different times. Please specify what your preferred color would be when you checkout. We cannot guarantee if you will receive that color but we will try. We will get in touch with you regarding any issues.